Home Inspections in: Hartford County, Middlesex County, New Haven County, Litchfield County, Tolland County, and New London County Connecticut! This is Your Home - Be sure to choose a Qualified CERTIFIED Home Inspector to Inspect it. Anyone ELSE is just looking around! Don't get stuck with a Money Pit on your new home purchase. I am an FHA/HUD 203(k) Inspection Consultant as well. Your Home is a Major Investment. Whether you intend to stay in it forever or plan to move someday, chances are good that you will spend the next several years in your new home. Why not take the time up front to get a Quality Certified Home Inspection for your new purchase, to ensure you won't come across any unexpected Surprises down the road? Discounts for AARP and Veterans. I have building custom homes for the past 20 years and have Inspected over 1,800 homes in the past 9 years and my clients have been very satisfied with my detailed reports and recommendations on running there new house more cost effective. I treat my home inspections as if I was Buying the house. All my completed home inspection reports and pictures are E-Mailed within 24 hours to the buyers. I also Include in all My Home Inspections is a visual mold inspection at No Charge. I am fully Insured and License Home Inspector # 506. Every Year You Will Receive (4) newsletters, One for Each Season On The Things To Do In YOUR Home Each Season. Melandro Home Inspection & Air Testing is a Premiere Home Inspector in the Hartford, Connecticut Home Inspections community on Inspectopia.com. Call me and I will send you one of my completed Certified Home Inspection Reports for Your review, See what YOUR home inspection report will look like with the details and explanation of the defects I discover in your future Home and many photo's of the home in all my reports. We provide Certified Home Inspection Training for Interns who want to become Home Inspectors in CT. Very confident & knowledgeable. I had spent many hours on the phone calling around for an inspector. None of them made me feel secure. From the start of our conversation I knew that this was the person I wanted & felt comfortable with. I was NOT disappointed! Thank You! Mr. Melandro was very knowledgeable and conducted a thorough inspection. While doing the inspection he took the time to educate me about his findings and the home in general. As a first time home buyer I am grateful for his patience and experience in helping me with my first purchase. Tony was extremely helpful and his inspections do pay for themselves. great guy,very detail oriented. would and will suggest to anyone. extremely knowledgeable and able to give good advise. walks through and explains everything to the buyer. excellent inspector! Tony, you are a really good inspector. Its great that you take your time during the inspection and you check everything, you don't try to rush through it. It was really great working with you. Thanks B.R. Excellent and prompt service. I would highly recommend Tony Melandro as he is very knowledgeable and experienced, he discovered defects in the home which we received credits at closing to make the repairs needed. I recommend buyers to Have Tony Melandro send you one of his completed home inspection reports and you will see why I hired Tony Melandro. If the client's participating Certified Professional Inspector® misses anything in the inspection, InterNACHI will buy back the home. It's that simple. There's no deductible and no "weasel" clauses. 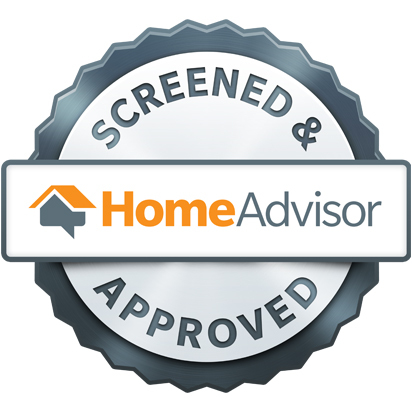 Home buyers can buy a home worry-free when they have it inspected by a participating InterNACHI member. 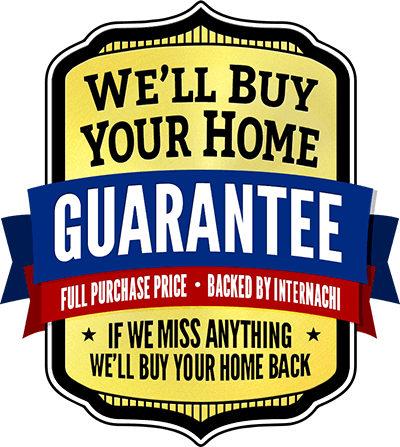 If they're not happy within the first 90 days after buying it, InterNACHI will buy back the home at full price. Additionally, InterNACHI protects the privacy of its members' clients. It doesn't collect identifiable consumer data, so it can't sell it or release it. No names, addresses, phone numbers or email addresses are sold or released to any third party. What is a 203(k) loan ? A mortgage loan that can be used to buy and fix up a handyman special or improve your existing house and have the repairs cost built into the mortgage. One loan covers the purchase and the repairs. Why is a consultant needed? To complete the repairs Write Up, the consultant will meet with the borrower at the subject property to complete a walk through inspection. The consultant will note all FHA minimum property standards and required standards and will find out what addition repairs, renovations upgrades, etc, the borrower may want. The consultant must also make sure the property meets the 5.000.00 minimum required/eligible repair guidelines. The 203(k) consultant completes the Feasibility Study, Work Write Up, the required architectural exhibits and the Specifications of Repairs. The quantity and the cost of each item must be shown, as well as a complete description of the work for each item on a room by room basic. ... Home ownership is the American Dream. That dream can quickly become a nightmare, however, for uninformed buyers. Even newly constructed homes can harbor costly mistakes - mistakes that may not be visible to the untrained eye. Are You at Risk ? Is Your Children At Risk ? Millions of homes built before 1978 contain Lead paint. This toxic substance can pose serious Health hazards if you don't take proper precautions. Lead poisoning produces irreversible effects on children under the age of six, including intellectual deficiency. Adults who are exposed to too much Lead lead to high blood pressure, nerve disorders, and memory and concentration propblems. We now are Certified for Lead Testing using the latest technoligy, X-Ray Fluorescence which is the most accurate lead testing which is approved by the EPA. We perform Certified Air Testing for Toxic Mold in your Home or Business to keep You & Your Family Healthy. OUR Home Inspection Service Area Here In Connecticut!